Bradford Pear is an ornamental flowering tree that's planted along many city streets. 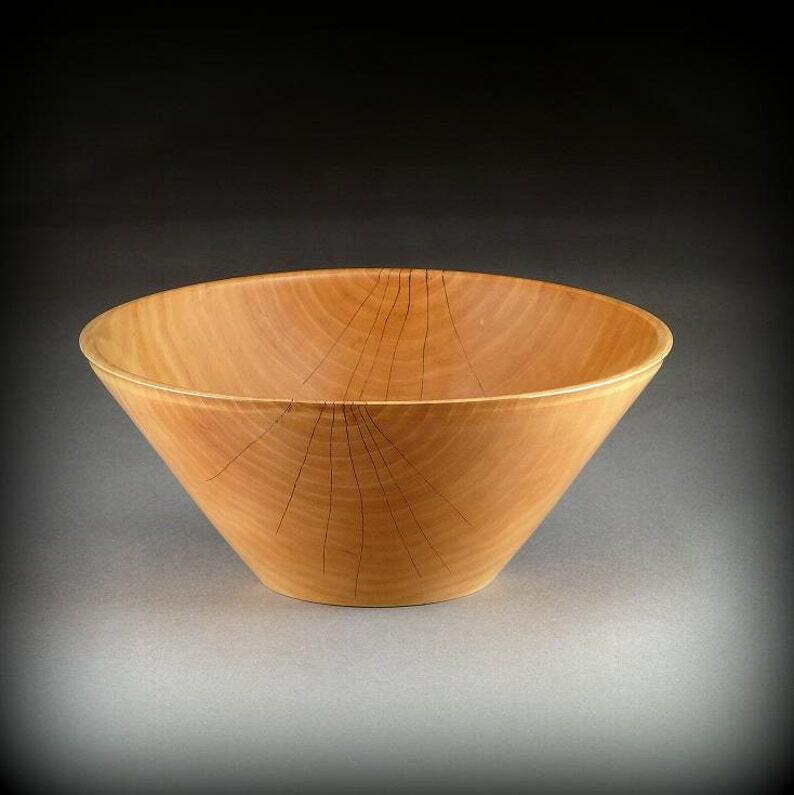 Its wood is lustrous and nicely suitable for turned objects, such as this bowl. With time, the wood darkens somewhat, taking on a subtle glow. Hairline cracks have been simulated with woodburned lines on two sides of the bowl. Diameter is 9-3/4 inches, height is 4-1/4 inches. Minimally finished in a semi-gloss varnish, polished with finishing waxes. See more bowls at my other site, www.Bowlwood.com. Read more about many of my turnings at my blog, www.timberturner.blogspot.com.